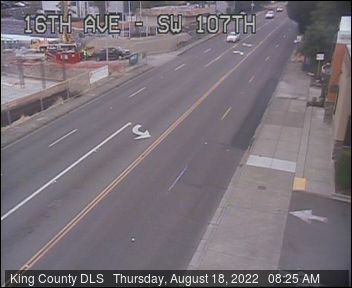 11:59 AM: Thanks for the tips – 26th SW between White Center/Shorewood and West Seattle is blocked right now by a crash response at the intersection where SW 106th becomes 107th because of the crash in our photo above. 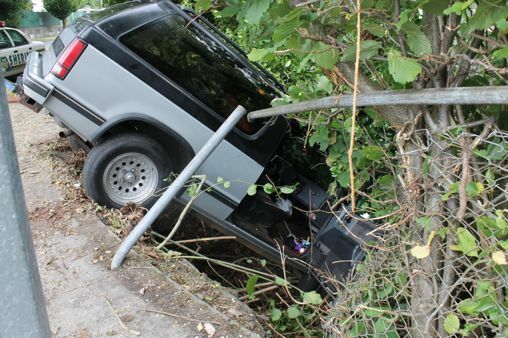 Our crew is told 2 vehicles were involved and one person was taken to Harborview. King County’s major crash investigations team is on the way out so this might be closed for a while. Our crew says east-west traffic is being allowed through one lane at a time, but we would advise avoiding the area entirely. We will check back at the scene later; if you see it open again before we update, please let us know, text or voice, 206-293-6302 – thank you! 2:21 PM: The intersection remains fully blocked. 3:53 PM: Metro has just texted/tweeted that the bus stop on 26th SW is open again, which we’ll take as word that the intersection has reopened to all traffic. 8:27 PM: Thanks to everybody asking about this – scanner traffic confirms a search is under way near Ambaum/114th for a suspect, and that’s brought out the Guardian One helicopter, with a King County Sheriff’s Office K-9 on the way too. We haven’t heard what the suspect is being sought for, but deputies do seem to know who they are looking for, and it’s someone reported to have a record. Right now the search scene includes the storage business across from the Ambaum McDonald’s; one reader tells us they’ve also seen deputies a bit further south. We’re heading out to see what more we can find out, and we’ll update if/when we hear anything more. 8:52 PM UPDATE: We are in the area now and just talked briefly to deputies. They say the assault allegation involves domestic violence. Guardian One is still circling. 9:32 PM UPDATE: We left the area a little while ago, same time that the helicopter departed – which wasn’t because of an arrest, but because they had to refuel. Meantime, a KCSO K-9 team had arrived for a search in the area. So far, we haven’t heard of anyone being taken into custody, but are continuing to monitor, and if we don’t hear anything definitive sooner, we’ll check with KCSO’s media-relations officer in the morning to see if they have anything new to report. Our understanding is that the victim did not require hospitalization. In reports that involve suicide, we always mention this resource – the Crisis Clinic, which has a 24-hour hotline, 206-461-3222. 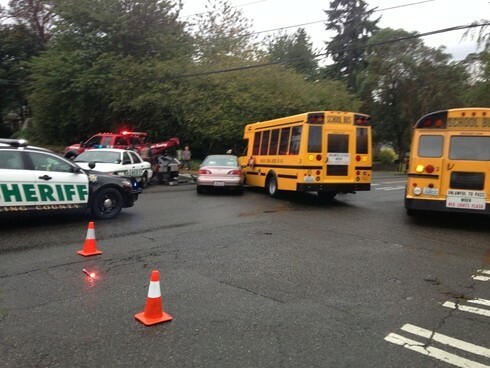 In case you saw this and wondered – a Highline Public Schools bus was involved in a collision with a car at 28th SW and SW 106th this morning, but everyone on the bus is OK, and were being transferred to the other bus you see in our photo, according to a KCSO deputy on the scene. The driver was being checked out for what was described as a possible wrist injury. Tow crews were arriving and this wasn’t expected to impede traffic for too much longer. Just wanted to let folks know our house was broken into in the 11000 block of 22nd Ave SW (map) between the hours of 10-11 am (Tuesday). Garbage trucks probably rolled by while it was in progress; we’ve put in a call to see if they saw anything. Thief took a crowbar to a basement window; I’d like to just take a moment to remind everyone to put dowels in any sliding windows and keep a list of serial numbers…they were obviously looking for stuff that could be easily carried away and pawned. 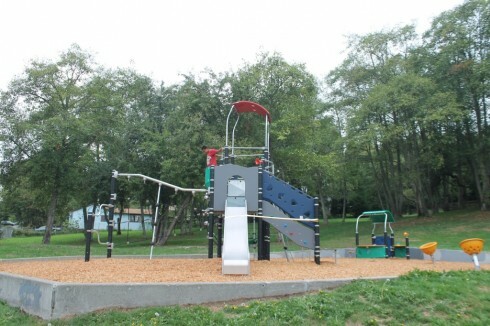 The play-area project cost about $117,000, with the money coming from a Community Development Block Grant and county parks-levy money. What? You don’t know where North Shorewood Park is? 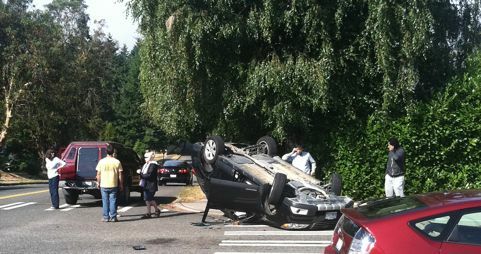 24th SW and SW 102nd. 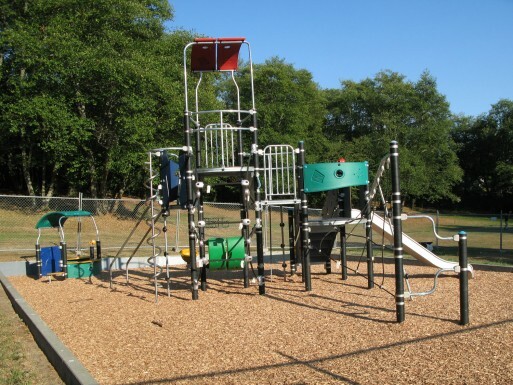 Everyone is invited to join King County Parks in celebrating the grand opening of a new play area at North Shorewood Park on Tuesday, Sept. 17 from 5-7 p.m., with the official program commencing at 5:30 p.m. 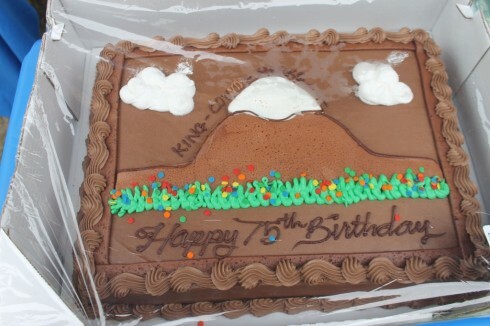 The park is located at 24th Avenue Southwest and Southwest 102nd Street in White Center. 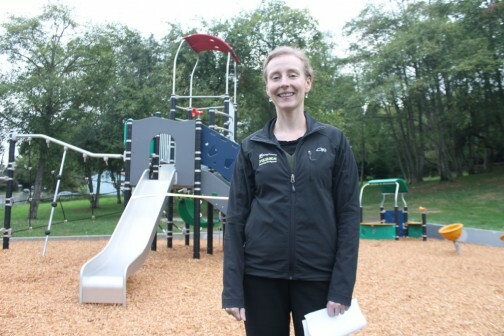 The new playground equipment replaces outdated equipment that had reached the end of its lifecycle, and features a slide and other interactive elements for children aged 3 – 12 years old. 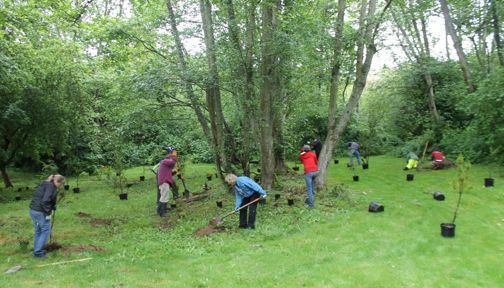 The $117,000 project was funded by a grant from the Community Development Block Grant program and by the 2007-2013 Open Space and Trails Levy. We had a great time. The weather was perfect for working. Cleaned out around trees planted last year, added a few more and barked them to help keep down the weeds. Cleared out along the trails and picked up trash. Several kids from the neighborhood showed up to use the basketball hoop and found it “busy” with a truck parked under it. 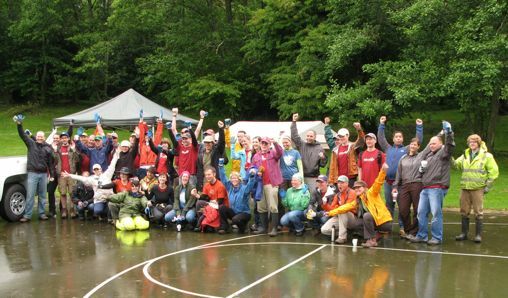 A wonderful thing happened – they volunteered to help, pulled on some Seattle Works tees and dug right in. 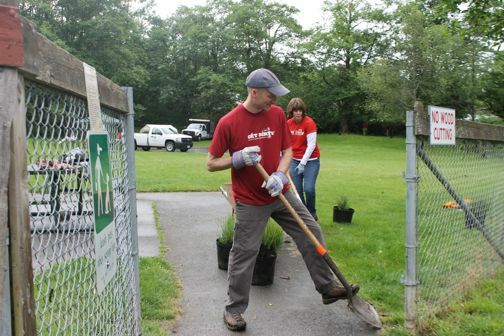 According to Mark from KC Parks, they wanted to know if they could come back (Sunday) and help some more! Nope, just a one-day event. 9:42 AM: The King County Sheriff’s Office helicopter Guardian One is over the Shorewood/White Center area again, according to reader reports, confirmed by KCSO spokesperson Sgt. Cindi West, who confirms the helicopter is assisting with a ground search. No details just yet – so far it does not seem to be related to the recent search in that area. We’re headed that way and will update when there’s more information available. This morning at about 9:35 a.m. we were advised to go into a modified lockdown due to police activity in the area. This is a standard precautionary measure. The safety of our students is our number one priority. During a modified lockdown, students can move about inside the school but not outside. For the safety of both students and parents, we do not alert parents while a lockdown is in progress or allow students to contact their parents by cell phone. This is an emergency management best practice. Police do not want parents to come to school to retrieve their children, because that could put the parent in danger and/or could compromise the police investigation. Please know that your child’s safety is the central purpose of all our emergency procedures. And Sgt. West reiterates that if you see or hear anything/anyone suspicious, call 911. 10:42 AM: Sgt. West says they arrested the suspect. We’ll continue checking back for word on whether he’s been caught. We’ve also learned about the suspect’s background – tied to some high-profile incidents in West Seattle; details are in our report on partner site West Seattle Blog. We got a note from Beth in Shorewood, asking about a search that her neighbors heard might involve “a man with a gun.” King County Sheriff’s Office spokesperson Sgt. Cindi West says it started around 4:30 pm when deputies tried to stop “two suspicious subjects … in the area of 117th/Ambaum. Apparently when they were attempting to pat one of them down deputies saw a gun in his waistband. The subject ran. We are looking for him. I understand we know who he is and he is NOT a convicted felon.” So that’s what the search is about. No reports of any injuries related to this. 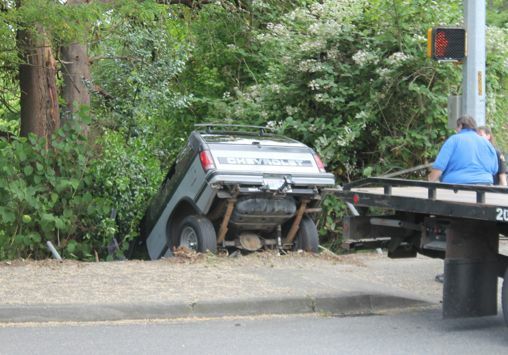 Thanks to the person who texted our 24-hour number (206-293-6302) to report this – a truck that went through a fence and partway down an embankment kitty-corner from the Shorewood Market at 26th and 106th. A King County Sheriff’s Deputy at the scene told us that nobody was hurt seriously enough to have to go to the hospital; they’re investigating it as a possible hit-and-run. No major traffic trouble – the tow truck was already there when we arrived, ready to pull out the truck. Side note: North Shorewood Park, which is at 24th and 102nd, is one of those that King County would turn over to the City of Burien if annexation wins the November vote and is finalized next year. 11:08 AM: Sarah took this photo before King County Sheriff’s Deputies had even arrived, so we have no other details, but we’re en route to check. 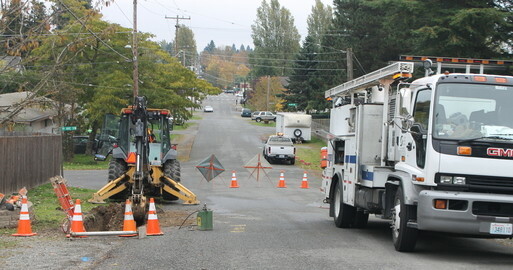 28th/106th, taken just before 11 am Thursday. More to come. UPDATE: Nobody hurt; the crash was only blocking part of the intersection, and since a tow truck had already arrived by the time we got there around 11:20, it was expected to be cleared quickly. King County Sheriff’s Deputies say the black pickup in the photo hit a pedestrian crossing 26th SW south of 106th SW about 12:30 pm. We were at the site around 2 and the Major Accident Response investigators had just arrived – deputies told us that meant the road is not likely to reopen till early evening. (We will check back.) No word so far on the circumstances, nor on the condition of the pedestrian. This is a busy area for traffic, since 106th SW runs between White Center and the West Seattle neighborhood of Arbor Heights, and 26th SW runs north of the scene all the way to the Westwood Village shopping center. We have two reports, neither official (one is from someone saying he was a witness at the scene right after the crash), that the victim is a juvenile male, and we will be trying to find out more. 5:31 PM UPDATE: The road is open again; investigators have finished and departed. 6:40 PM UPDATE: King County Sheriff’s Office spokesperson Sgt. John Urquhart has sent a brief news release on the crash, but the only additional detail it contains is that the victim, described as “around 15 years old,” is in serious condition. In nearby Shorewood on the Sound, next Saturday is a day much like our recent West Seattle Community Garage Sale Day – dozens of residents are having yard/garage sales. A couple folks in Shorewood have e-mailed to call our attention to this so we can share with you. They say the map’s not available online, but printed copies will be available in the neighborhood that day, and hopefully we will get a list to sales to share with you before then. Sale hours on Saturday are 10 am-4 pm. 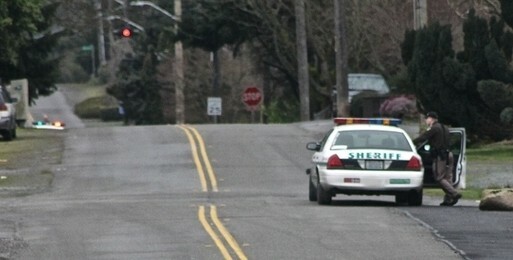 Got a few notes through partner site West Seattle Blog‘s mailbox this morning regarding law-enforcement action in Shorewood, along SW 106th near the Seola Beach turnoff, just blocks west of White Center, reportedly with major weaponry and canines at one point. One King County Sheriff’s Office rep still there, and an unmarked car, when we drove by in the 8 am hour; checked with KCSO spokesperson Sgt. John Urquhart, who told us that his agency was assisting what he believed to be federal agents in serving warrants as part of an operation/investigation involving multiple locations. We’ll add to this story if/when we find out more.